Worried about defending your license or yourself in a hearing con- ducted by the Coast Guard, National Transportation Safety Board or a State Pilotage Authority, which could result in license revocation, suspension or assessment of a fine/money damages against you per- sonally? 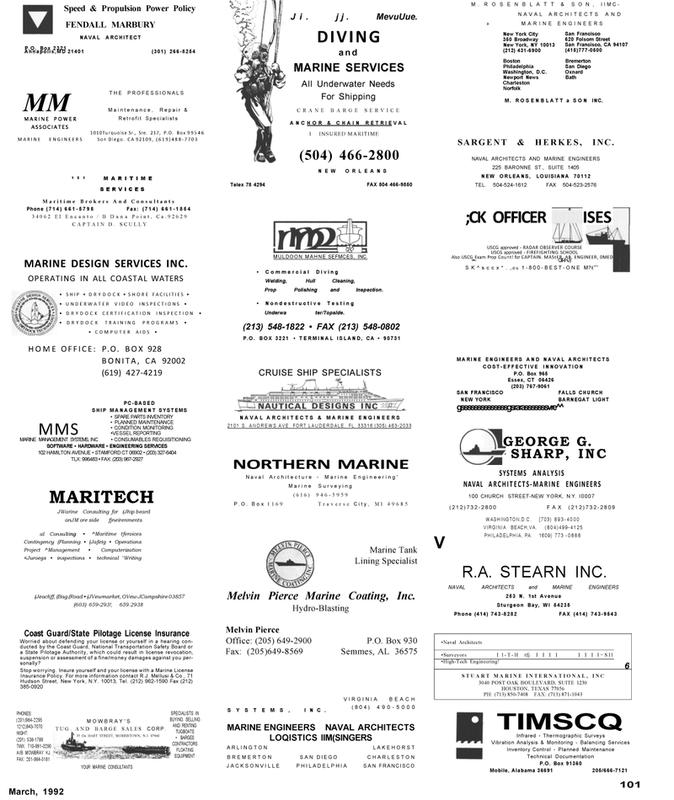 Melvin Pierce Marine Coating, Inc.
M. ROSENBLATT a SON INC. Phone (414) 743-8282 FAX (414) 743-9543 •Naval Architects 6 •Surveyors I l-T-H tfj I I I I I I I l=Sll •High-Tech Engineering!